The North East’s own Scott Auld will be among the elite cyclists taking on the gruelling 1.4km circuit in the shadow of the city’s historic cathedral on Saturday, 18 May. The series was launched in 2010 and Durham has been involved from the beginning, hosting more races than any other city with support from Durham County Council. With its cobbled streets and a daunting 500m climb up South Street, the city is regarded as one of the most challenging rounds of the competition. Spectators can look forward to a thrilling afternoon and evening of sporting action as Britain’s top cyclists tussle it out for victory at speeds of up to 60kph. As well as being unticketed and free to attend, the series is unique in the world of cycling, as the focus in both the men’s and women’s competition is on the teams, which battle for the overall title based on the performance of all five of their riders in each round. He said: “I always enjoy racing in local events as it’s a wonderful feeling to know my friends and family are there supporting me. The Tour Series is one of an unprecedented number of cultural and sporting events taking place this year. In recognition of this, Durham County Council and Visit County Durham have launched a campaign called #Durham19 to promote what is going on and to encourage communities to get involved. 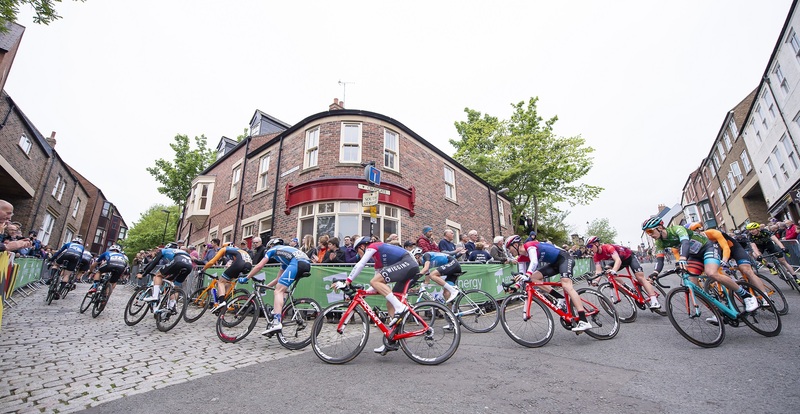 Race director Mike Bennett said: “The technical and physical challenges the Durham circuit offers, combined with the city’s stunning historic backdrop, makes this a round we all look forward to.